Widely recognized as one of the original portable vaporizers, the Magic Flight Launch Box vaporizer is as much of an ideal as it is a vape. Magic-Flight sums it up quite nicely with their company mantra, “Love is that which enables choice. Always stronger than fear. 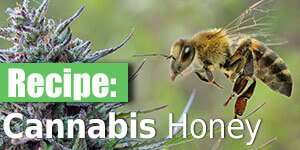 Always choose on the basis of love.” It is quite literally engraved on each and every vaporizer they sell. The Launch Box isn’t only one of the most recognizable handheld vapes, it’s also one of the most affordable. We received the walnut Launch Box to review, it’s one of the priciest models at $139 US, but the original comes in at a mere $119. Better still, everything is hand made in San Diego, California, using a meticulous 87-step process and offering an unheard of lifetime warranty. Everything arrives in a very nice felt-lined tin, complete with a full-color 50 page user manual (Flight Guide). Really quite remarkable packaging and branding considering the cost of the vape itself. Unlike almost any other vaporizer available, the Launch Box has no buttons at all. 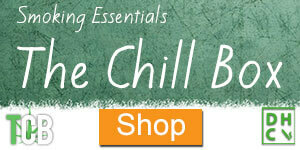 It is easily the most primitive vaporizer we have seen here at The Chill Bud, but that’s part of what we loved so much! We immediately understood why Magic-Flight has such a massive following of loyal customers, it’s unlike any other vaporizing experience. It feels almost natural, despite pressing down on a NiMH battery to heat up the coil. Void of any fancy features or lights, the Launch Box take a bit of practice before you get the hang of it. Similar to other vapes, you have to pace your breaths to evenly heat the herb chamber and ensure a plentiful vapor hit. 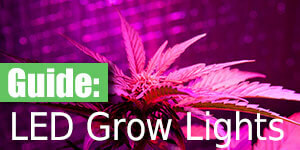 The see-through tip lets you closely monitor your vapor and your herb throughout the session. Magic-Flight offers a great variety of vaporizer accessories to customize your Launch Box including, mouthpieces, whips and water pipe attachments. Design. Yes this is a pretty broad pro, but from the materials used to the simplicity of the unit’s design, it’s exactly what I had hoped for. 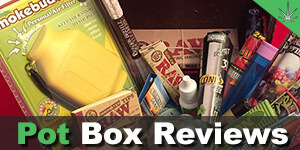 The Launch Box is a solid, durable vaporizer. Vapor quality is great once you get comfortable with the Launch Box. It does take a bit of practice to get the hang of, but the ‘Flight-Guide’ has some useful breathing techniques to help novice users. Customer service has to be mentioned here. Not only were the folks at Magic-Flight extremely helpful and pleasant with us, they are praised across the web for having the friendliest and most useful customer service. 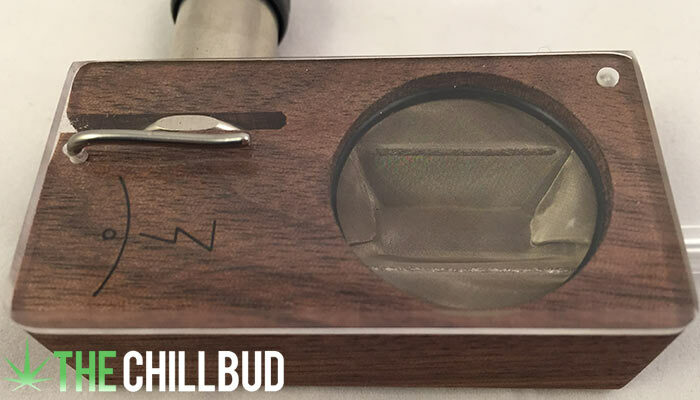 The removable glass mouthpiece makes cleaning the Launch Box a breeze. A pipe cleaner with some isopropyl alcohol will get the job done in seconds. Or you could re-purpose the built up resin if you so desire. Price. 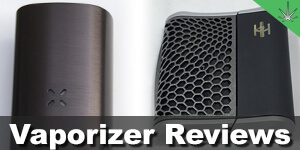 It’s one of the most affordable vaporizers on the market, and it is far from the worst, in fact it’s pretty great! Because of the price point it’s a perfect choice for novice users, but the versatility and customization both through accessories and temperature control make it a favorite among die-hard vape fans. Holding the battery down for too long causes the herb the combust in the trench. This happened to me while I was unknowingly holding down the battery between puffs. 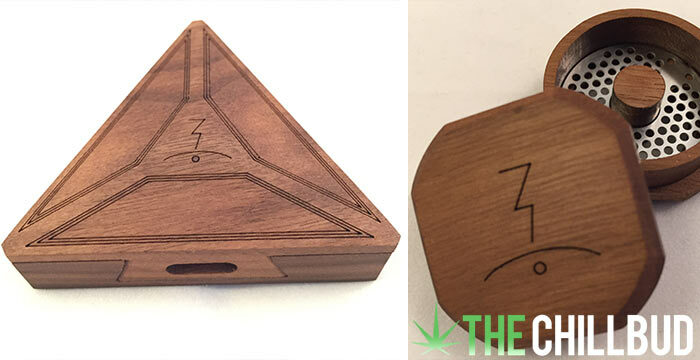 The MFLB is made of wood, and comes with a see-through top. There isn’t much question what it is when you glance at it. Unlike some other more ‘modern’ looking vaporizers, the MFLB is pretty conspicuous for public use. I’m pretty hard pressed to come up with many cons. The simplicity of the Launch Box makes it hard to be disappointed. Once you get comfortable with using the MFLB, there are very few drawbacks I can come up with. So I guess having to learn how to use it would be the con, but they do provide some super detailed instructions if you have no idea what to do. 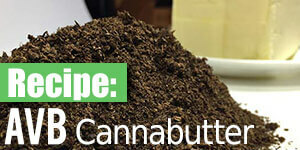 Tap into your hippy roots and make vaporizing an artful experience. Immerse yourself in the moment, monitor your vapor density, dial in the perfect battery on / off technique and use your breathing technique to draw the perfect hit. It sounds a bit hoaky, but the manual nature of this vape, coupled with the materials used really do make for a unique vaporizing experience. Far from the whole ‘click one button and rip it until nothing comes out’ nature of most vaporizers. I think virtually anyone would be happy to have a Magic-Flight Launch Box. It’s a great entry level model for the price, endlessly customizable with an array of accessories to keep up with your vaporization needs. We we’re lucky enough to check out a couple of the accessories Magic-Flight offers, the Delta Box stash as well as their custom finishing grinder. The classic portable vaporizer. Takes some getting used to.